MSA 10154190 ALTAIR 2XT, SO2/H2S-LC, Glow in the dark. 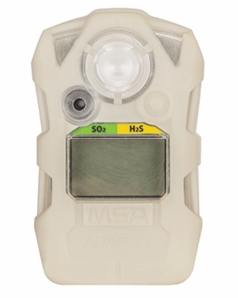 MSA 10154190 ALTAIR 2XT Single Two Tox Monitor for Sulfur Dioxide and Hydrogen Sulfides (SO2/H2S-LC) with Glow in the Dark Housing. Altair 2XT portable Gas Detectors offer low cost of ownership, durability, reliability and advanced technology for ease of use and safety.